Facebook has moved one step further in providing the best of services to its users. Now it has introduced another option that will allow the users to promote their important statuses, photos, videos etc after making payment of nominal amount of subscription and Facebook will promote the status of the users like it does for the developers of different pages. 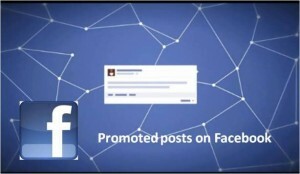 During the early October, the Facebook expanded its circle of service by the introduction of promoted posts service. This service allows the individual users to pay a small fee in order to promote one of their statuses, photos, events etc. Initially, this service is only available to the users of U.S. The promote option appears next to the “like” and “comment” button. If users have something really important and they want to show their status, photos, events etc to lot of people then with the help of this service update they can do it easily. This promoted posts for people work similar to the Facebook’s already introduced promoted posts for pages that was started during the summer. With the help of this service, after making payment of nominal amount, Facebook sends or promotes the status of the users to the top of the friend’s news feeds. This update is for those who find a way to make sure the really important stuff is seen by everyone important. The management of the Facebook has set the price for this update at a reasonable level of just $7 for most of the users. The promoted posts will bear a “sponsored” tag when it will appear in the friend’s news feed. Initially, the Facebook announced a warning about this service when it launched this service that promoted posts will bear a friend-limit. Only users less than 5,000 could play to promote their posts. But now it has removed these limitations and the users can freely use this service and can promote their status to as much friends as they want.